Joss Whedon is returning to television for the first time in a decade (bar his hands-off producing role on Agents of SHIELD). His new show is called The Nevers and is a period peace, set in Victorian London. Intriguingly, this will also mark the first time that Whedon has worked for premium cable, in this case HBO. 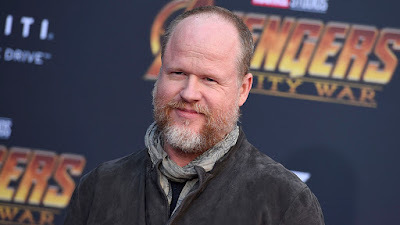 Whedon's previous shows (most famously Firefly but also Dollhouse and, to a lesser degree, both Buffy and Angel) all suffered a degree of network interference during their lifespans, as well as budget issues. With HBO, these should be less damning issues. The Nevers revolves around a group of women who have unusual powers, the various shadowy forces trying to control them, and their own conflicts in what to do with their abilities. Whedon will write and direct the first episode and possibly more episodes of the show. He is also working as co-showrunner alongside his long-term collaborator Jane Espenson. The Nevers will shoot from June 2019 to February 2020 and will air on HBO later in 2020, one of the channel's line-up of new shows that they hope will help fill the void left behind by Game of Thrones' conclusion. And who says history doesn't repeat itself? Get your MeToo bingo cards ready.